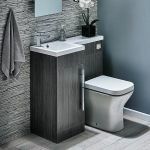 Organise in style with our extensive range of bathroom furniture storage including both freestanding and wall hung options. Maximising space in what is often the smallest room in the house is vitally important especially if you have a busy family environment. 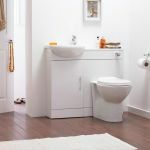 If you're on a budget then consider white gloss bathroom furniture. With clean water resistant surfaces and fittings including soft close hinges these modular ranges can easily be added to as your storage requirements grow. Choose from drawer, cupboard and laundry units as well as tall boy options. 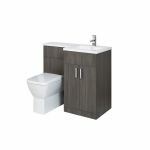 For a real centre piece look at our designer vanity unit options available in a range of colours. These use the best materials available to offer you style and surfaces that are sealed and will withstand constant contact with water.